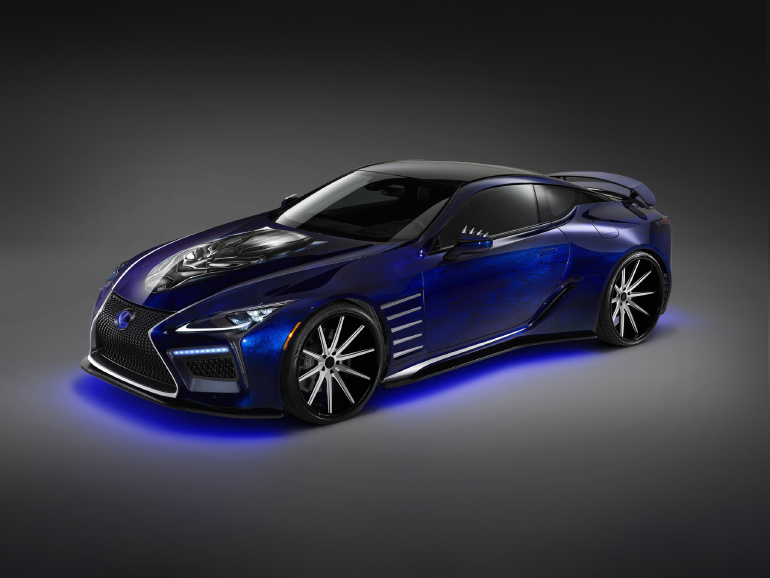 Lexus's Black Panther-themed LC 500 at New York Fashion Week. The steals the show. And that’s no easy task in Marvel’s —or during a whirlwind of activity for the new grand touring coupe that included for that matter. But the weighty yet sleek angularity of the Japanese luxury marque’s latest flagship is surely one of the stars—along with Chadwick Boseman, Michael B. Jordan, Lupita Nyong’o, Forest Whitaker, Angela Bassett, Daniel Kaluuya, Danai Gurira, Winston Duke, and a scene-stealing Letitia Wright—in director Ryan Coogler’s highly anticipated cinematic debut for the 1960’s Stan Lee super hero, the genre’s first African, premiering nationwide on February 16. Recently rebooted in comic book form by National Book Award and Genius Grant winner and with a soundtrack coproduced by and costumes designed by , Black Panther has already broken advance ticket sales records. 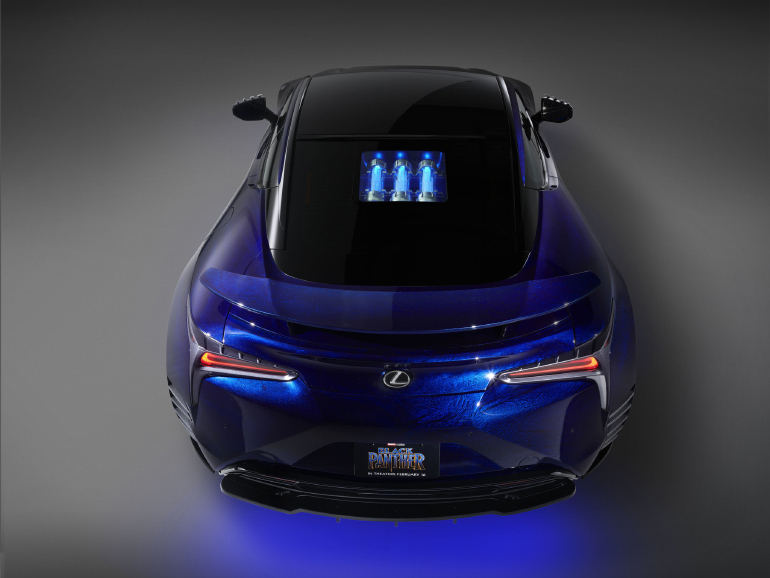 It includes a lengthy, innovative chase scene centered on a LC 500 with a limited-edition iridescent “structural blue” color, carbon-fiber scuff plate, bespoke white interior, and 21-inch forged alloy wheels. The exterior of the version used in the film. The production model itself features independent L-shaped daytime running lights beneath new ultra-compact Triple LED headlamps, functional venting, a combination of a large glass panel and blacked-out rear pillars that creates a floating roof appearance, and chrome-plated moldings along the edges, which echo the lines of a traditional Japanese sword. The flowing lines of the door panels serve as an extension of an exterior line that flows from the hood and through the windshield to build a sense of continuity between the exterior and interior, where there’s a heated leather-trimmed steering wheel, magnesium shift paddles, aluminum pedals, a hand-stitched leather-wrapped gearshift lever, bezel-less door handles, and Alcantara door panels. Materiality was also on display at the New York fashion week presentation on February 12 that featured one-of-a-kind looks and capsule collections from 10 designers, including the Australian women’s line, inspired by the film—as was the immersive venue, which guests were encouraged to explore, where the custom pieces were displayed. Similar to past years, also created exclusive vehicle exteriors as part of the , this time with an unmistakable Black Panther flavor. The paint is iridescent "structural blue." 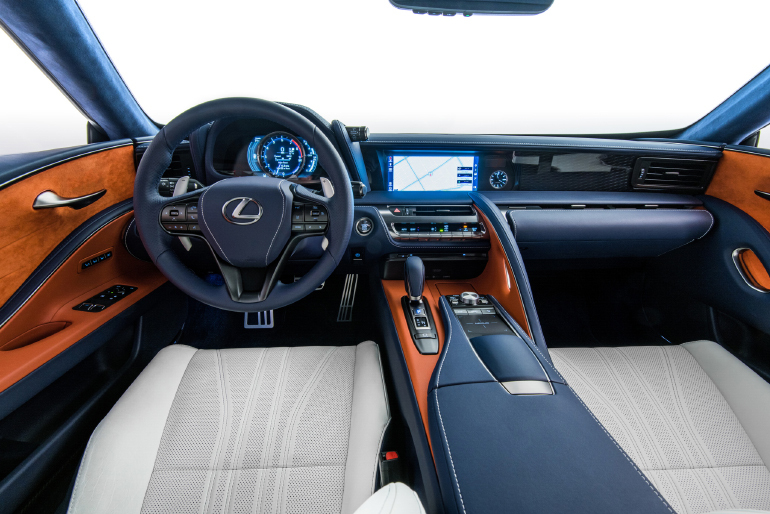 The production model includes a heated leather-trimmed steering wheel, magnesium shift paddles, aluminum pedals, a hand-stitched leather-wrapped gearshift lever, bezel-less door handles, and Alcantara door panel trim. Model Herieth Paul sports a Tome-designed outfit inspired by Black Panther. Этот интересный портал с информацией про нервная булимия лечение киев.